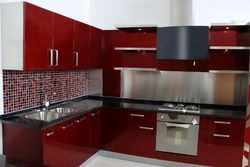 Exporter & Manufacturer of a wide range of products which include Modular Kitchens such as Purple Kitchens, Black With Sand Blasting Kitchens, Straight Kitchens, Straight Modular Kitchens, Designer Kitchens, Luxury Kitchens and many more items. 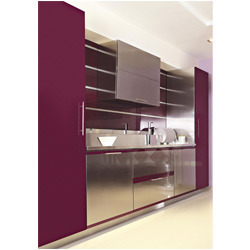 We are offering high quality Designer Purple Kitchens to our most reliable customers which are situated all round the nation. 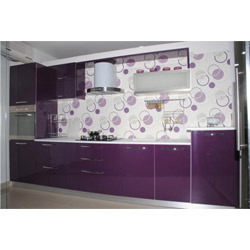 Our designers design the range of Purple Kitchens as per the latest trends and styles, which is not only pleasing to the eye, but also stands high on quality. Customers can avail from us a splendid range of Painted Designer Kitchens, which is used in offices pantry as well as houses kitchen. Manufactured by using premium quality raw material. These kitchens are delivered to the client in a timely manner. With state-of0the-art infrastructure facilities,we are able to manufacture,supply and wholesale a large array of Termite Free Kitchen.In order to maintain the kitchen in sophisticated and cleaned manner,we offer these kitchens in modern patterns. These kitchens are demanded and appreciated by the clients due to their heat proof nature,advanced functions,easier maintenance,longevity and classy look. Being one of the most distinguished names in the industry, we are engaged in offering a wide range of Straight Kitchens. These Straight Kitchens are designed as per the latest designs and trends in the industry that enables us to meet the requirements of the clients in a better way. We are one of the trusted names in industry, engaged in manufacturing, supplying and exporting a wide variety of Black Modular Kitchens. As per the latest market trends and client’ specific requirements, we have developed these kitchens in many of the designs, sizes, shapes and unique patterns. We make use of quality approved materials and sophisticated technologies, which make them more qualitative and stronger. Straight Modular Kitchens are offered from our side as per the latest industry trends and requirements. We cater to the style of every home and bring fine changes from the most customary styles to more modern kitchen design. These professionals also analyze the available space and budget constraints of the customers while designing this. We are offering to our valuable customers fine range of Luxury Kitchens. 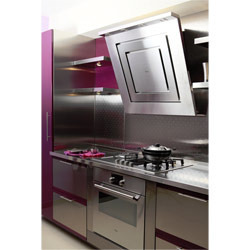 Luxury Kitchens are designed and developed using the most advanced industrial equipment. these Luxury Kitchens are intended to emphasize the comfort & space supervision needs of our customers. 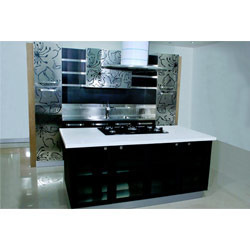 We bring forth for our valuable customers excellent quality Designer Kitchens. While manufacturing these Designer Kitchens, we take extra care of quality so our clients get best product. 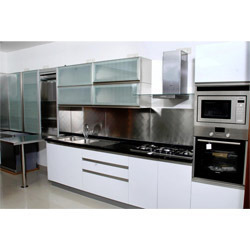 Our customers can avail from us these Designer Kitchens at most affordable prices. 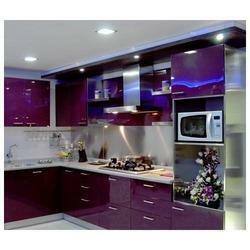 We are engaged in offering our clients an attractive assortment of Purple Kitchens . Available in several designs and patterns in order to meet the requirements of hotels, restaurants and residential kitchens, these kitchens are ready-to-install with detachable cabinets & modules. 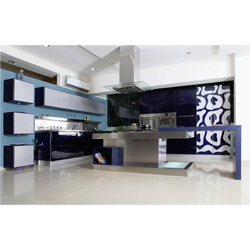 We bring forth to our clients an outstanding collection of Modular Kitchen. 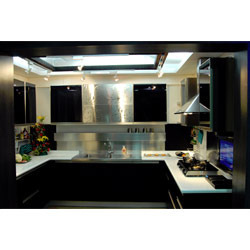 This Black With Sand Blasting Kitchens is designed and crafted using premium quality raw material under the guidance of experienced craftsmen keeping in mind varied needs of clients. 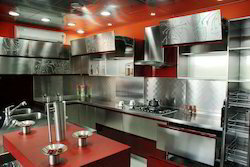 We are engaged in offering an extensive range of Stainless Steel Concept Kitchens which are made by using very superior and premium quality raw material. We offer these concept kitchen at most affordable as well as at market leading prices. Looking for Modular Kitchens ?